Red Womens Tailcoat - This great sequin Womens Tailcoat is single breasted with 2 buttons. This red Womens Tailcoat is the perfect jacket for a Greatest Showman costume. 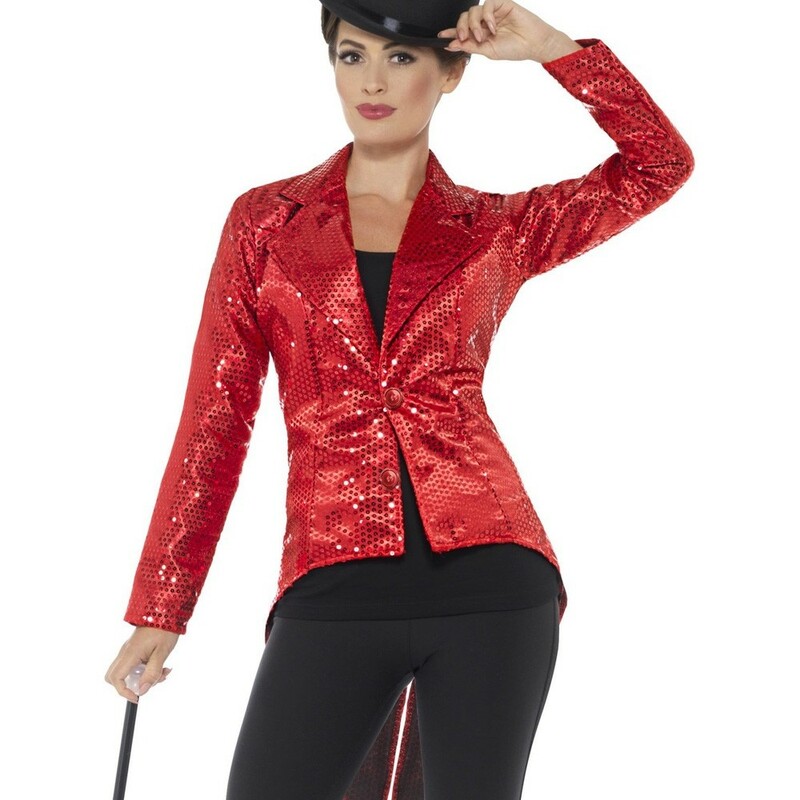 A Womens Red Sequin Tailcoat.